O'er the world I wander lone, sweet Belle Mahone. Oh, without thee what am I, sweet Belie Mahone? Wait for me at heaven's gate, sweet Belle Mahone. Lonely, like a withered tree, what is all the world to me? Life And light were all in thee, sweet Belle Mahone. 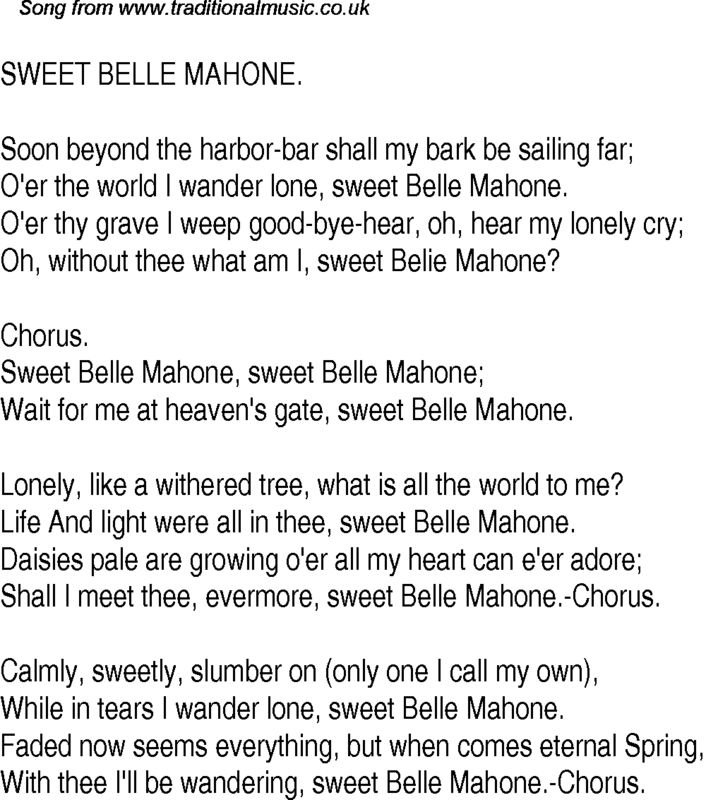 Shall I meet thee, evermore, sweet Belle Mahone.-Chorus. While in tears I wander lone, sweet Belle Mahone. With thee I'll be wandering, sweet Belle Mahone.-Chorus.